Usually, on this leg of the journey, a beeping geiger counter inspires to shift into high gear and streak through the area with great haste. The patch of trees in front of me is called red - or 'magic" wood. In 1986, this wood glowed red with radiation. They cut them down and buried them under 1 meter of earth. The readings on the asphalt paving is 500 -3000 microroentgens, depending upon where you stand. That is 50 to 300 times the radiation of a normal environment. 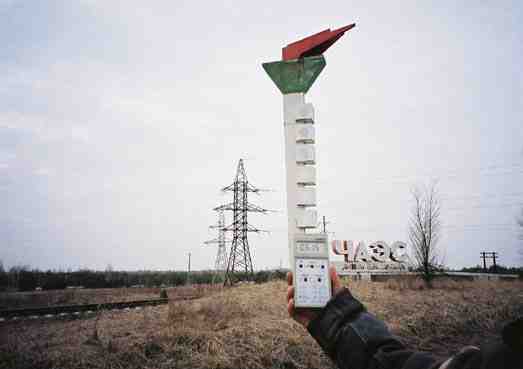 If I step 10 meters forward, geiger counter will run off the scale. If I walk a few hundred meters towards the reactor, the radiation is 3 roentgens per hour - which is 300,000 times normal. 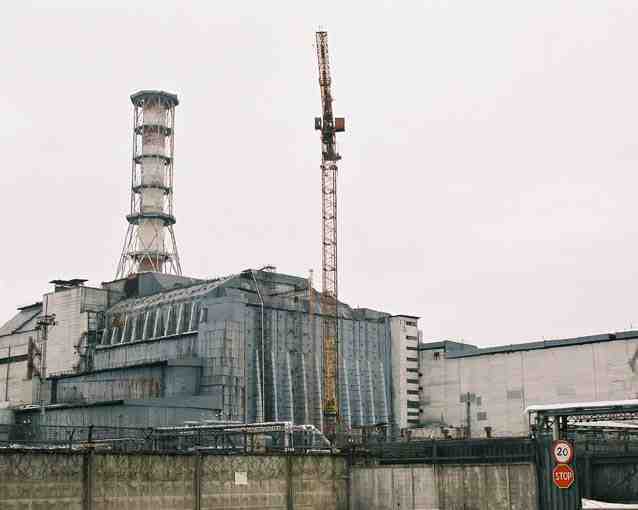 If I was to keep walking all the way to the reactor, I would glow in the dark tonight. Maybe this is why they call it magic wood. It is sort of magical when one walks in with biker's leather and walks out like a knight in a shining armor. This is the territory of the Atomic Power Plant. 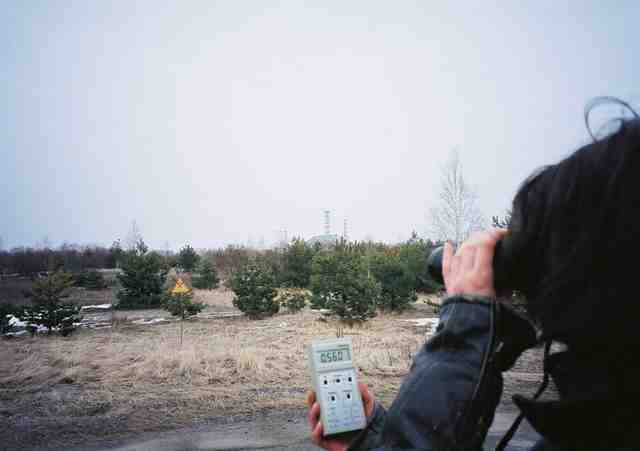 The geiger counter reading here is also 500-3000 microroentgen per hour. The plant was closed down for good in 2000. They must build a new sarcophagus soon, because the original one was hastily constructed and is disintegrating.